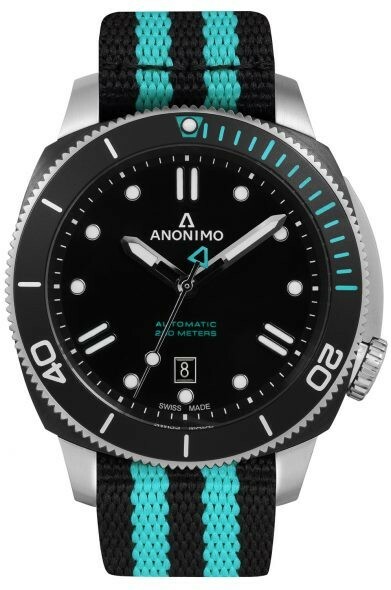 More than 10 years after the first edition was created by the naval engineer Dino Zei, the Anonimo Nautilo now comes in a range of bold colors. 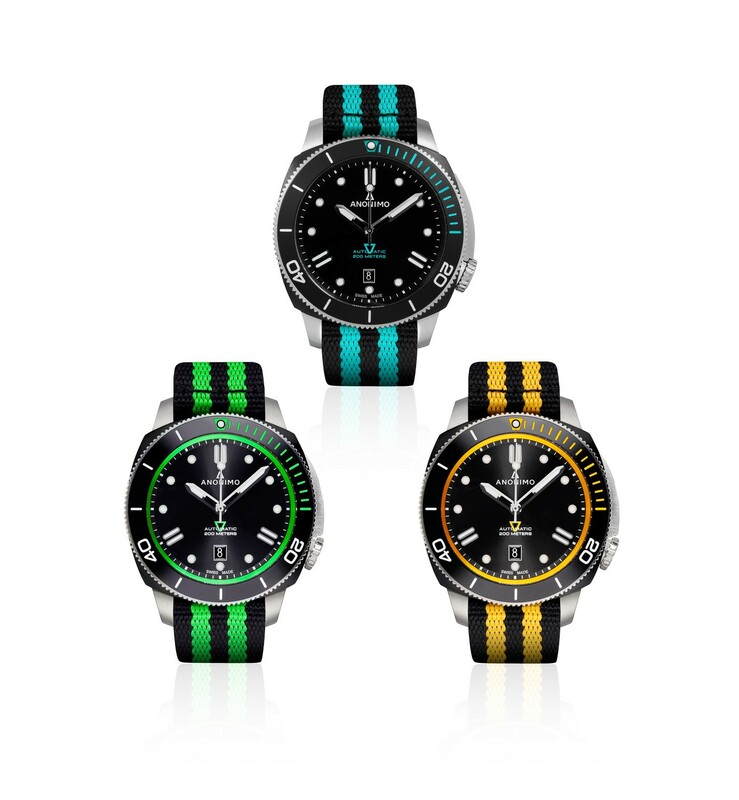 The famous diving watch glows either blue, yellow or green. Recognizable with its cushion case and its crown screwed at 4 o’clock, the new Nautilos 2017 take the 3 colors and bring them bursting to life. Summer is coming, the short sleeves are on and bare arms are revealed, so it is high time to brighten up one’s outfits. 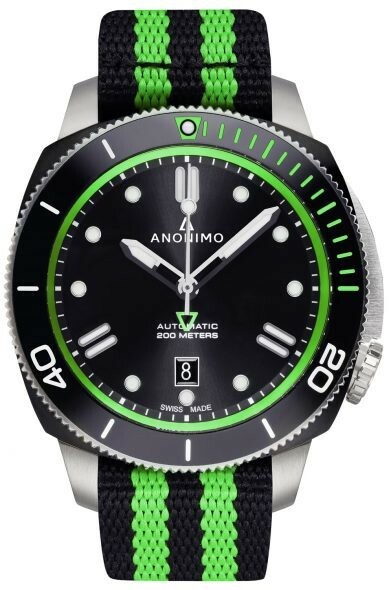 To help, ANONIMO brings a fresh touch to its Nautilo collection, based around three colors: yellow, green and blue, its favorite color. While the NATO bracelet made its return last year with the Sailing edition, the new collection, delivered this summer, presents models complete with bi-colour bracelets. 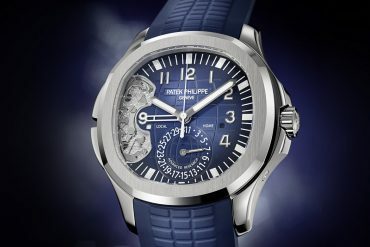 On the famous “Bottom Time”, the marking of the first fifteen minutes on the bezel is also in tune with these tones. To continue the two-color theme, the counterweight of the second hand, which takes the shape of the logo, also matches, of course! The work on the slightly domed sapphire crystal brings a feeling of finesse and, at the same time, the new ceramic bezel adds depth and shine to the overall aesthetic. Echoing the numbers 20 and 40 engraved on the bezel, a reshaped dial evokes the A of ANONIMO where the appliques at noon, 4o’clock and 8 o’clock have double sticks. This triangular reading, which is characteristic of the brand, ensures that there is a perfect legibility of the date sitting at 6 o’clock. 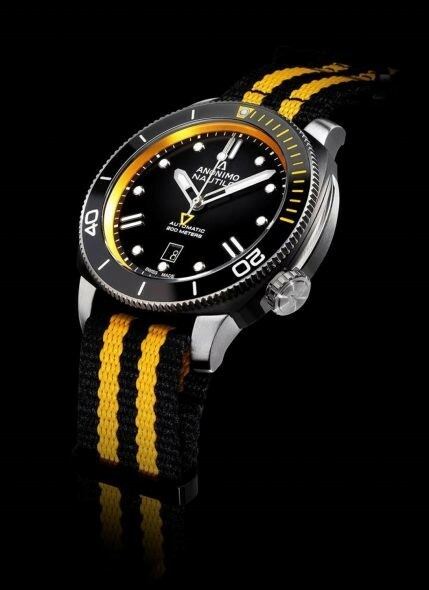 Like the entire Nautilo collection, this “diver” is equipped with the efficient Sellita SW200-1 automatic movement, which will always remain dry no matter what the conditions because the watch is waterproof to 200 metres. 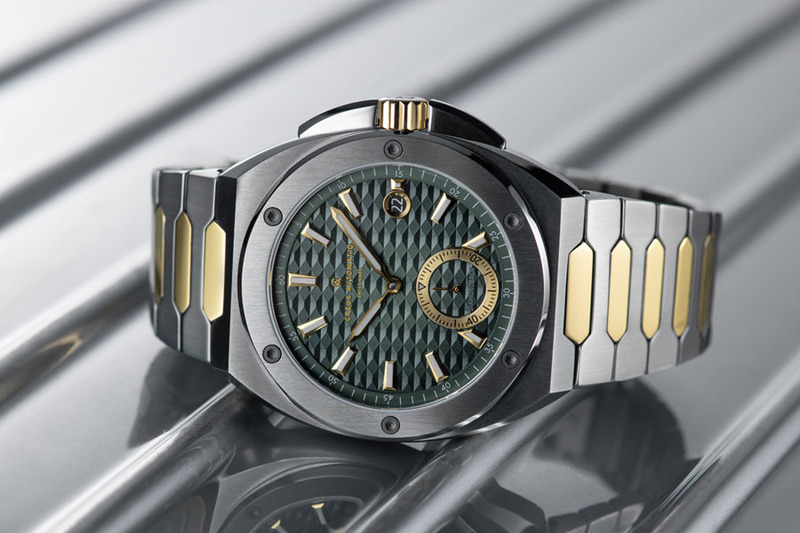 Its brushed steel and DLC case of 44.4 mm, means the watch truly imposes with its go-anywhere look. 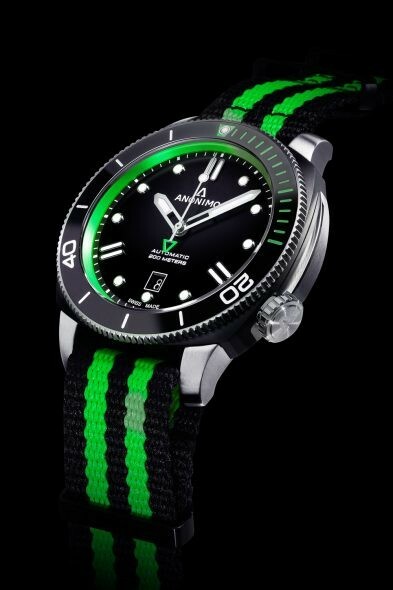 With its original black rubber bracelet, or more radiant with the bi-colour bracelet that it also comes with, the Nautilo transforms to match the mood of the wearer. 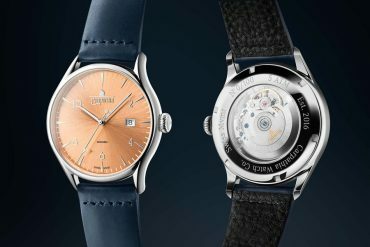 Worn either for a sporty and attractive look or a more discreet and elegant one, depending on the occasion, the Nautilo NATO fluently translates the chic sporting character of ANONIMO. 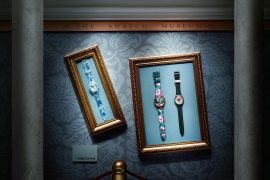 Canvas on the wrist with Swatch x Rijksmuseum.